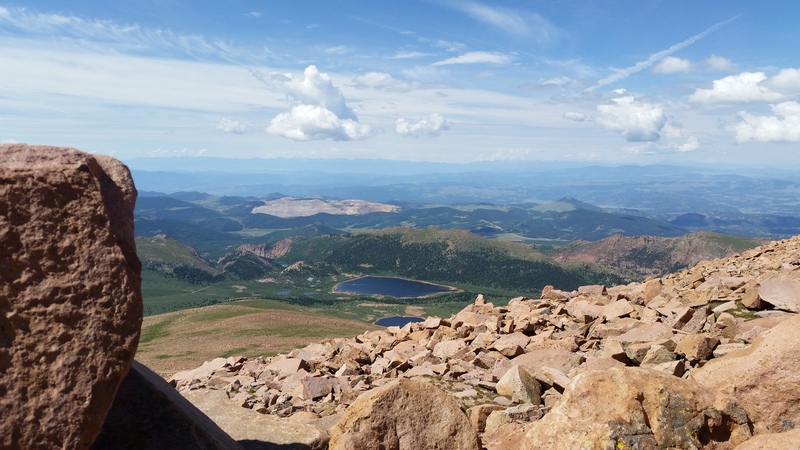 Our trip to Philmont Boy Scout Reservation was going to be 2 days of altitude acclimation in the Denver/Colorado Springs, Colorado area followed by a 1 day at Philmont base camp, 10 days on the trek on Philmont property then 1 day back at base camp and then home the next day. it was a 15 day trip in total; sleeping in tents every night. 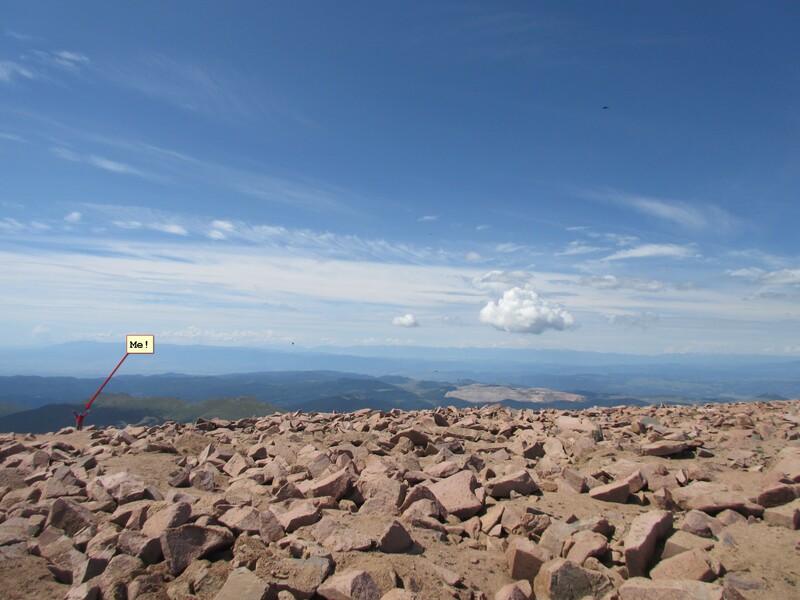 Our troop had 2 crews going to Philmont: crew 803-T-1 (our crew) opted for a long hike and fewer programs whereas crew 803-T-2 opted for the reverse. The crew numbers were given to us by Philmont when we signed up. The 803 is the date our treks started (August 3rd). The next letter, which ranged from A-Z then went into double letters (AA…), is a letter of the alphabet denoting our specific troop. The final number showed that we our troop had multiple crews at Philmont. These numbers would prove very important once we got to Philmont. 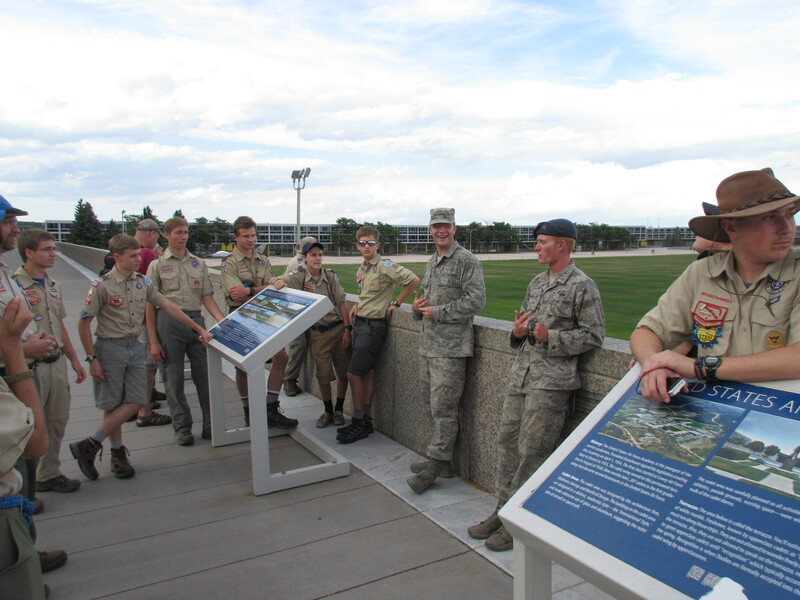 We flew out as a troop and did most everything together until we arrived at Philmont. But I fear now I’m getting ahead of myself. Let me show you what we did in Colorado. Ever come back from a trip with hundreds of photos? Ever try to pare them down to share only the most bestest ones with your family and friends? Hard right? Now multiply that times 5 because not only do I have my 510 pictures but I also have 4 other people’s pics, about 2,500 in total. Thanks to Dan, Jacob, John and Tom for sharing their pics with me. Going through them and picking my favorites was very hard. There were so many sunrise, landscape, vista and sunset pics that I could make 1,000 gorgeous calendars. I may set up an account on a pic sharing site one day to show them all but for now, here are the ones I like. Our Boy Scout troop, Troop 264 in Olney/Brookville, Maryland, lives around 500 feet above sea level. We are what some may call “lowland people”. 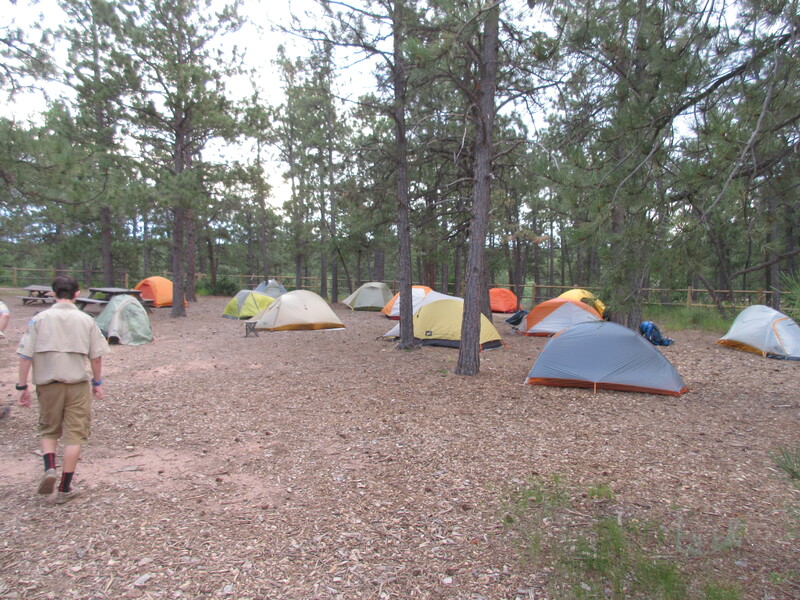 Philmont base camp is around 6,800 feet and the elevations go up from there. 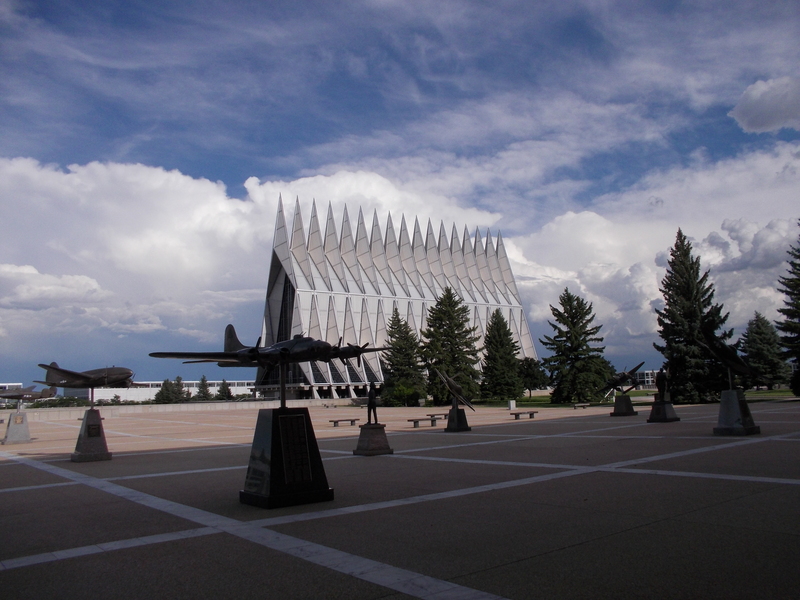 We knew we had to get acclimated to the altitude gradually so we flew out west early and stayed around the Mile High City for a bit. 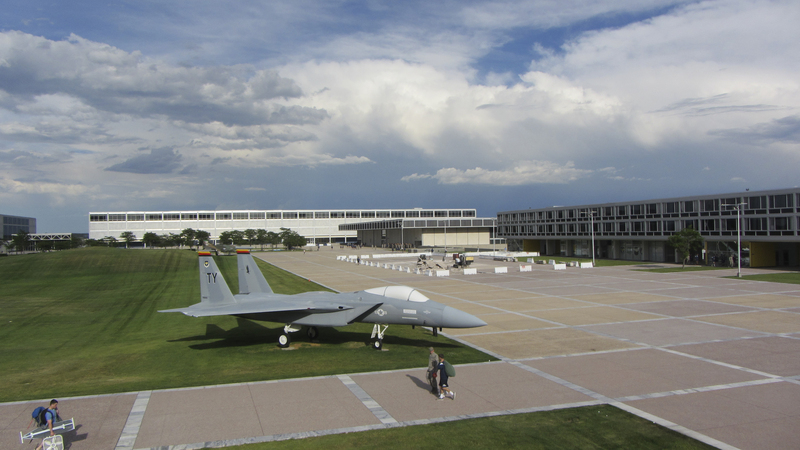 We camped at the Air Force Academy near an old bomber (photo below). They have an area for scouts to camp inside the Academy grounds. You do need to register and reserve the area. Contact them for more details. We were the only troop there and had the sinks/toilets (with running water) to ourselves. Was nice…except for the trains that traveled VERY close by and blew their horns from midnight to 6am each night. THAT was very annoying. A good friend and colleague of mine has a son (Joshua Bradley) that is a senior at the Academy. We were extremely fortunate that he and his squadron-mate (Alex Dials) met us and gave a personal tour of the cadet campus area. We saw the chapel and inside some of the barracks the students/cadets live in. Below are some of those pics. 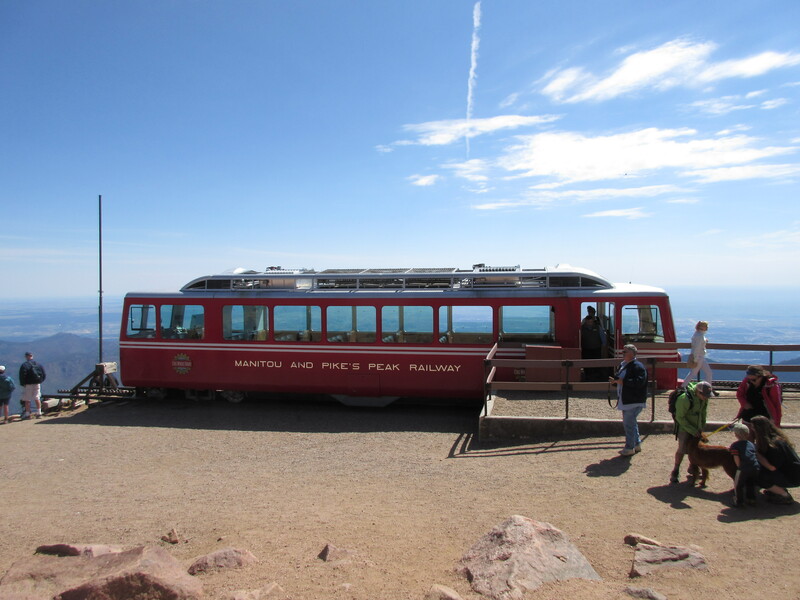 We booked a trip up the 14,000 foot tall Pike’s Peak mountain on the Cog Railway. Of course we could have walked up but we were trying to get acclimated to the elevation. 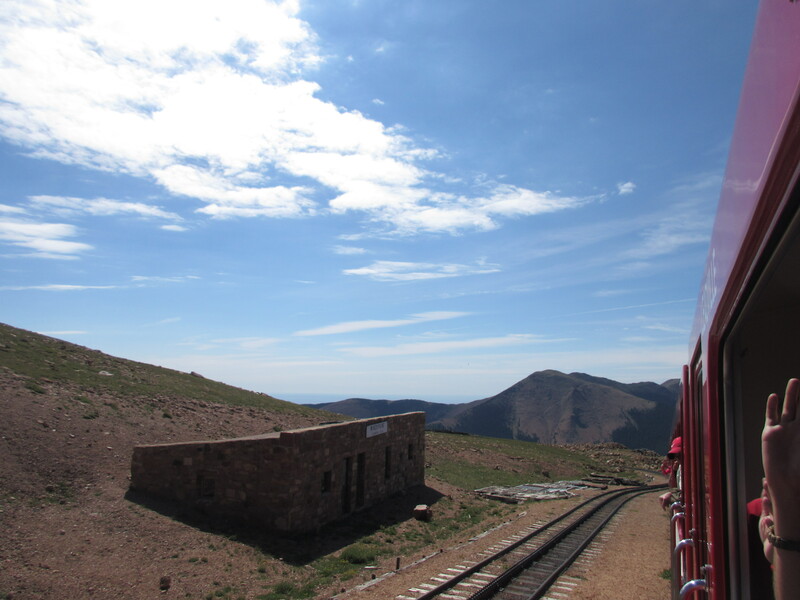 The cog train was the perfect solution. Our trip was at 10am and it was a gorgeous day. Hummingbirds flew all around us at the railway station as we waited to ascend the mountain. Here are some pics of the journey up the mountain and then also at the top. The views from the top of the mountain were spectacular! Someone told us that some of the mountains we saw in the distance were over 100 miles away. 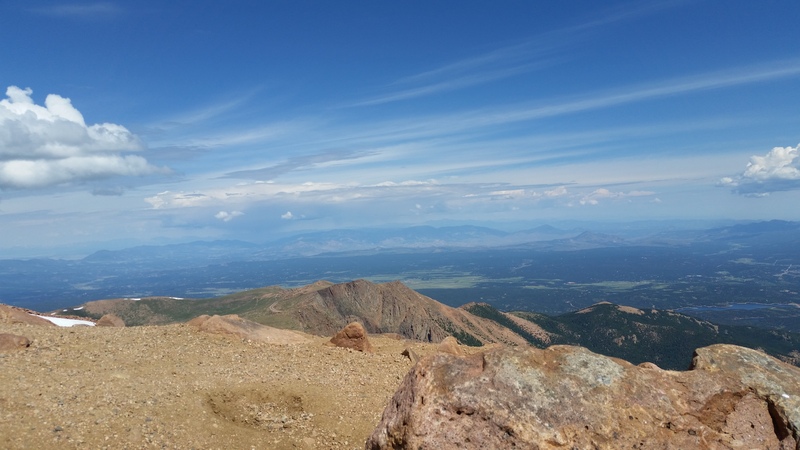 It was my first time at 14,000 feet above sea level and it felt pretty good to be way up high and looking at the world from a different perspective. 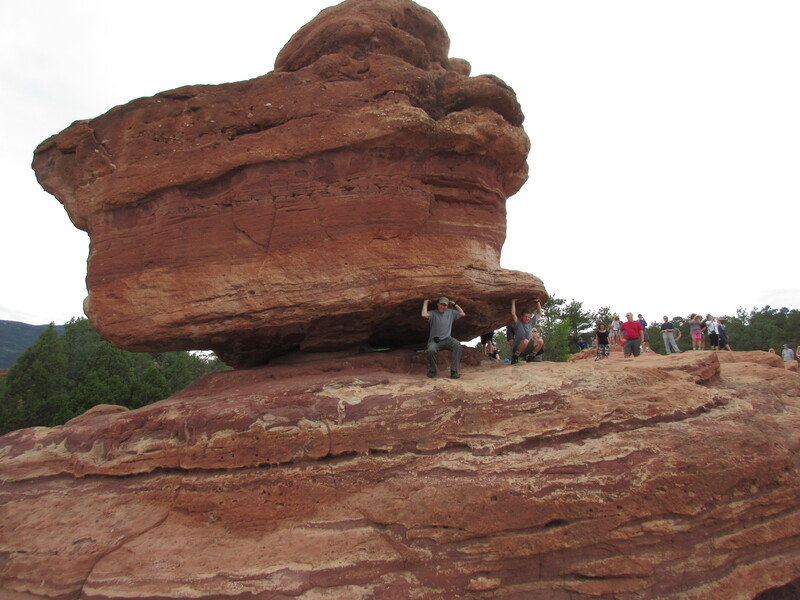 Since our Pike’s Peak visit was in the morning, we decided to visit the Garden of the Gods in the afternoon. Below are some of those pictures. I personally didn’t go as I had some things to get at REI and was helping another crew member with some altitude issues. Here are some of the pics from the Garden. 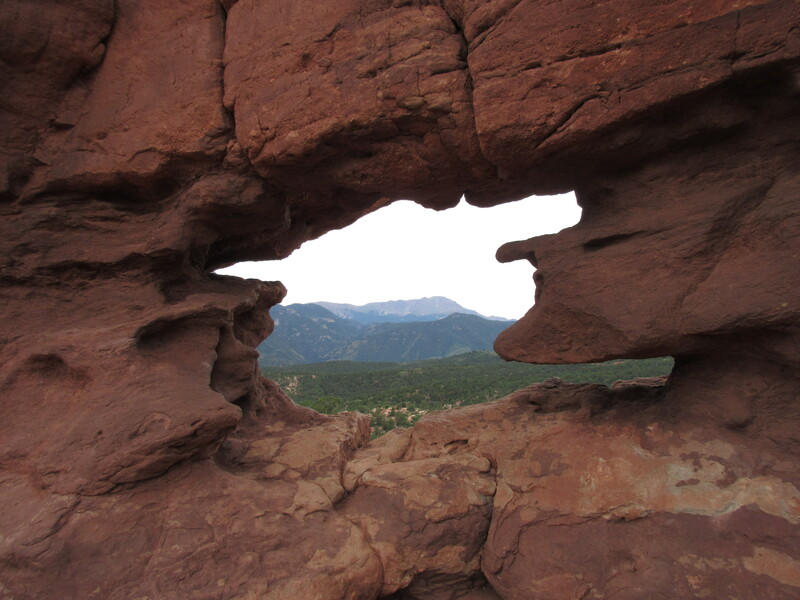 So that was our brief stint in the Colorado Springs, Colorado area. We visited the above places, we ate, and tried to sleep (darn train horn!). The next day we headed to Philmont. That will be the next post!